Are you suffering a lot from the increasing load time of the images on your WordPress blog/website. Here I brought you Cloudinary. In this particular post we would do Cloudinary media CDN WordPress setup. 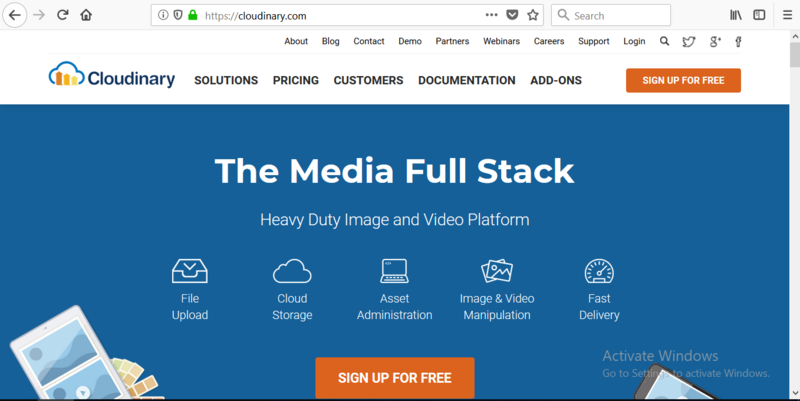 If you don’t know “what is Cloudinary?” then it is a company which gives the cloud storage for image and other type of media hosting that has a very fast delivery compared to our traditional hosting on which our blog/website is situated. It has free plan and paid plans as well. So don’t worry about if you don’t have money. Go to the Cloudinary website at www.cloudinary.com. Click on the sign up button at the top-right corner of the web page. 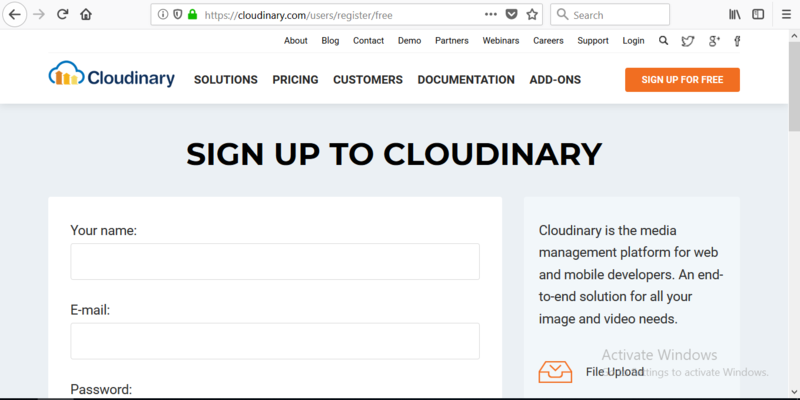 You will be taken to the sign up page of Cloudinary. Fill up the details asked like Email, Username for Cloudinary and password. Click sign up and after you confirm the mail you have the full access to the account. In between it may ask for the plan, choose free one if you don’t want to pay but in that one the cloud storage would have less. Once you created the account now its time to link your WordPress site with the Cloudinary. Firstly install and activate the official Cloudinary plugin. After activating the plugin go to the Cloudinary plugin’s settings. After it put it in plugin’s settings text box and click update. Its done now you can upload and load images for your WordPress blog from CDN that is of Cloudinary. When you would use the post writer in your site there you would be able to see the Cloudinary Upload/Insert Option. Now your Cloudinary Media CDN WordPress setup would be done. Cloudinary can also be used for various other platforms like blogger, your custom HTML site and even the Android and iOS apps support the Cloudinary Integration. We are using Cloudinary for uploading images which is fantastic as we can reduce bandwidth and size. Cloudinay allowed us to easily store all the images that we have in our blog/website. When I used cloudinary to host my images and reference them to my websites, I noticed increase in page load performance of my websites. I really love the variety of features. There are many different API implementations and different rules, such as cropping, storage location, etc. that can be applied to incoming files. It can be a little overwhelming because it does so much. And their docs could be laid out a little neater. Cloudinary is little bit complicated to use as there user interface is not the best. The strength of Cloudinary could also be seen as con with so many options to choose from it was a little confusing.